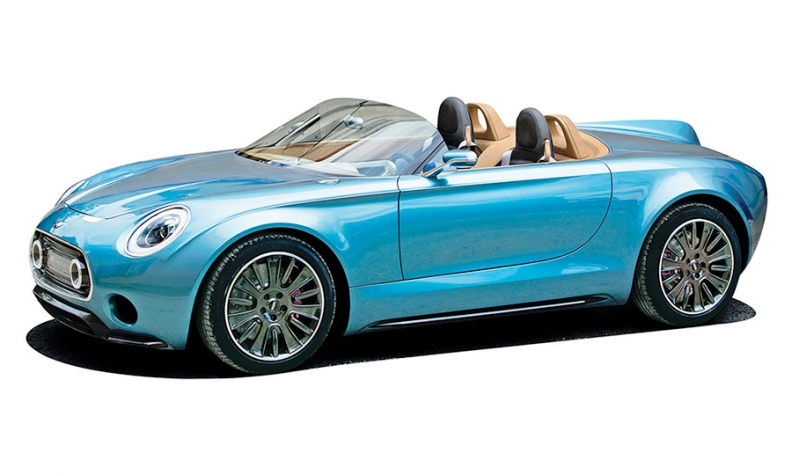 MUNICH -- Mini's Superleggera sports car concept would be a "great addition to the Mini range," says BMW's board member in charge of the brand, Peter Schwarzenbauer. But he disputed a report that the roadster has been approved for production. Schwarzenbauer, board member in charge of Mini, Rolls-Royce, BMW motorcycles and group aftersales, also said BMW has not decided whether to add a "mini Mini" that would be built with Toyota. Car magazine in the U.K. reported last week that a version of the Superleggera, a tiny, low-slung two-seat convertible, would go into production in early 2018. Germany's AutoBild said in January that BMW and Toyota are discussing an entry-level car for Mini that would be called the Mini Minor. Schwarzenbauer has been a big fan of the Superleggera since its unveiling in May at the Villa d'Este Concours d'Elegance near Como, Italy. But he said: "I cannot confirm that it has been approved yet." He said he is "still pushing" to get the production version approved. Asked about a new entry-level Mini, Schwarzenbauer said: "I don't see a smaller car than the current one." Schwarzenbauer spoke with reporters last week on the eve of BMW Group's 2014 financial results press conference here. He said Mini needs an electric variant because it is an urban brand and EVs are most suitable for cities. "Electrification of Mini is very important," he said. "We are working on that, but I cannot confirm when and what."